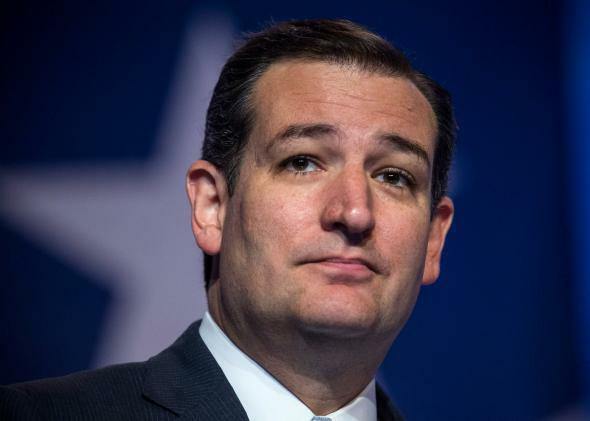 The Council on American Islamic Relations (CAIR) issued a press release on March 24, 2015 which called on Ted Cruz to abandon his plans to speak at the New England Freedom Conference on March 27 and 28 because Robert Spencer will also be speaking. CAIR’s press release labeled Robert Spencer a hate monger and an Islamophobe because he founded Jihadwatch.org and cofounded Stop Islamization of America. CAIR’s entire press release is posted at the end of this email. Robert Spencer has been a leader in providing credible and valuable information on the global threat of Jihad. It should be deemed an honor by any American patriot to share the podium with Robert Spencer. However, CAIR is using elementary grade school name calling and stigmatizing tactics to try to drive a wedge between Ted Cruz and patriots who are trying to defend America’s heritage and public policies that embrace freedom and liberty. Florida Family Association has prepared an email for you to send to encourage Ted Cruz to ignore CAIR and keep his scheduled speaking date. (Washington, D.C., 3/24/15) -- The Council on American-Islamic Relations (CAIR) today called on Sen. Ted Cruz, a presidential candidate, to cancel his scheduled appearance at a conference in New Hampshire later this week because the event is hosted by a group with ties to white supremacists and other speakers include the leader of a designated hate group. Sen. Cruz will reportedly speak at the "New England Freedom Conference," to be hosted by the Young America's Foundation on March 27 and 28. The Young America's Foundation (YAF) joined with Young Americans for Freedom in 2011. In 2007, Young Americans for Freedom hosted an event at Michigan State University that featured two white supremacist activists. The event's main speaker was Nick Griffin, a Holocaust denier who was at the time the chairman of the white supremacist British National Party (BNP). The master of ceremonies for the event was Texas neo-Nazi Preston Wiginton. Another scheduled speaker at the "New England Freedom Conference" is Robert Spencer. Spencer is a co-founder of Stop Islamization of America (SIOA), which has been designated as a hate group by the Southern Poverty Law Center (SPLC). Spencer's Jihad Watch blog is also designated as a hate group by the SPLC, which named Spencer as part of the nation's "Anti-Muslim Inner Circle." Norwegian mass murderer Anders Breivik cited Spencer's blog 162 times in his manifesto. In a special report, the independent national media watch group Fairness and Accuracy in Reporting (FAIR), identified Spencer as one of the "Dirty Dozen: America's Leading Islamophobes" who systematically "spread fear, bigotry, and misinformation." "If Senator Cruz believes that he can campaign for president while sharing center stage with a professional hate monger like Robert Spencer, I seriously doubt his ability to win the U.S. minority vote or unite the country as president," said CAIR Government Affairs Manager Robert McCaw. "As the first Republican to declare his candidacy for president, CAIR recommends that Senator Cruz reach out to members of the American Muslim and other U.S. minority communities to better understand their issues and concerns. Senator Cruz will need more than just the evangelical bloc and Tea Party votes if he wants to rise past the Republican primary." Yesterday, an umbrella organization of national Muslim groups sent an open letter to former Governor Jeb Bush asking him to drop an anti-Muslim activist as his PAC advisor. Two weeks ago, CAIR expressed concern when Sen. Cruz and other likely presidential hopefuls participated in an anti-Muslim summit in South Carolina. In January, CAIR issued an open letter to potential Republican presidential candidates urging them to reject Islamophobia and to reach out to American Muslim voters.